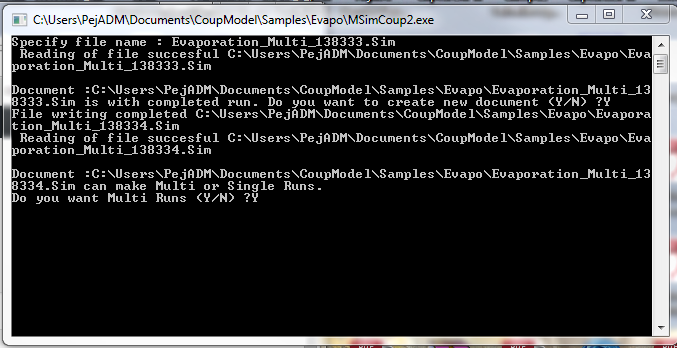 There is a version for running multiple simulations using Sim files as designed with the CoupModel interface. The Version is designed for MultiRun. and you open a previous simulation the MSimCoup2 makes 3 parallell runs and finally attached two of the runs to the first run started. to run it and where you have a sim-file located. Then you are prompted to answer some questions prior your simulation starts. You have scaled up one single multirun from 11 simulation to become 33 Simulation by using the 3 processors.